RICO’S PICK :: EMPOWERED SPECIAL #06 INTERNAL MEDICINE: Only Brandon Graham could give Adam Warren a run for his money with puns visual and otherwise. Empowered #6 will be a battle to the death by these to manga influenced American creators! No one is the loser here but the winners will be fans of wacky, beautifully drawn superhero action. SETH’S PICK :: MULITPLE WARHEADS: ALPHABET TO INFINITY #2: Okay, I know this is a little longwinded for a staff pick, but bear with me on this one. I admittedly jumped on the Brandon Graham bandwagon late. 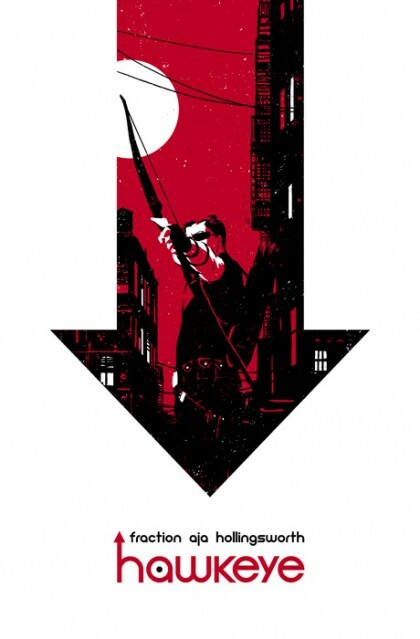 I didn’t read King City in single issues, and didn’t buy the trade when it debuted. In fact, the first thing I read by him was a short story in Dark Horse Presents called The Speaker. 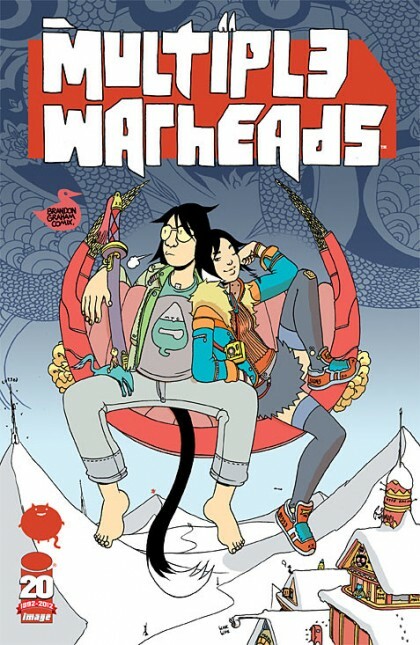 Still, that impressed me enough to get me to buy Mulitple Warheads #1 (and King City), and I’m happy I did. Since the first issue hit the shelves I’ve been trying to wrap my mind around Graham’s work and figure out some way to write about it for a review. It’s a challenge, because Graham’s comics seem like an entity unto themselves. There are elements of manga and science fiction, which anybody can see, but the most striking thing about these books to me is just how much material Graham crams into each issue. I wouldn’t say this is done with excessive dialogue or description, either. There are all kinds of little byways that branch off of panels or that materialize in empty space. Sometimes these manifest in verbal wordplay, sometimes they’re more like little occurences that might have little to do with the overall narrative, but enrich it nonetheless. The end result is that the comics can be read and re-read over and over, with each time offering a chance to catch something that was missed during earlier readings. I avoided Graham’s comics for a long time because I wrongly thought they might be a little too gimmicky for my liking. After having spent some time with them, I now see that he puts a lot of thought and soul into his work, and in the process has created some truly unique comics. 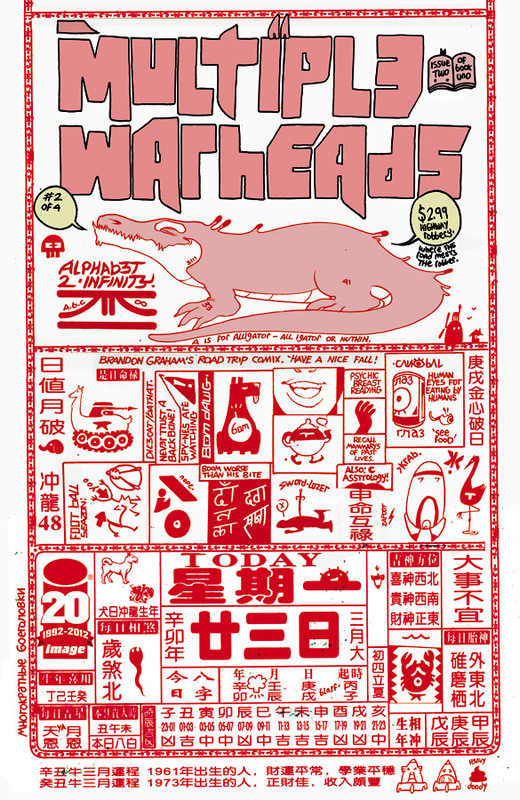 RICO’S PICK :: MULTIPLE WARHEADS: ALPHABET TO INFINITY #1: I’m always excited when a new Brandon Graham comic hits the shelves! The organic way everything is connected in his books is rarer than it should be in comics. If you like beautifully illustrated comics with heart and humor you should check this out, his comics game is STRONG!